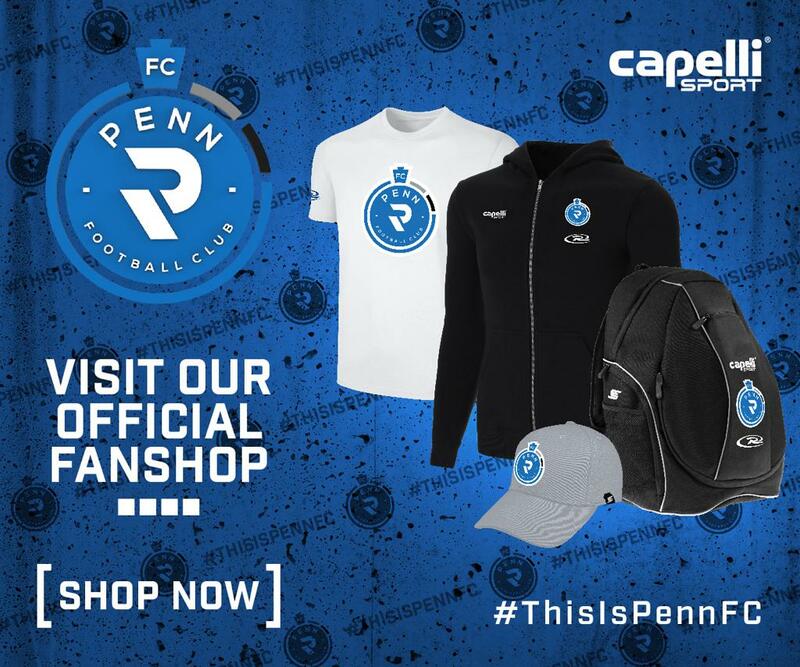 HARRISBURG, Pa. - Penn FC announced on Friday the signing of defender Ken Tribbett, who returns to Harrisburg, PA after a one year stint in 2015. Tribbett joins Penn FC in its inaugural season, pending USL and USSF approval. Tribbett returns to Harrisburg after playing for MLS club Philadelphia Union and its USL affiliate Bethlehem Steel FC. He spent 2017 with Steel FC, frequently being called up as a substitute for the Union. He started in all 12 appearances for the Steel and played the full 90 minutes in each of those matches. In 2016, Tribbett featured consistently on the backline with the Union. He started in 19 of his 22 appearances while averaging 78.5 minutes played per game. He scored two goals and notched one assist in his first season with the MLS squad. Tribbett began his professional career in Harrisburg, PA with the City Islanders in 2015. He was an ironman for the Islanders, starting in all 28 regular season matches and playing every minute in each appearance. In addition to supporting the backline, Tribbett helped the team’s offensive efforts with three goals. The team finished second in the Eastern Conference, falling one point behind first place, and Tribbett was a finalist for USL Rookie of the Year. From 2010-13, Tribbett played collegiately with Drexel University. His impact was immediate as he started 17 of 18 matches in his freshman season. Overall, Tribbett started in 73 of his 74 appearances for the Dragons, earning All-CAA selection honors (2010-13) and All-Region honors in his junior and senior seasons. Tribbett and his teammates won back-to-back CAA titles and received multiple NCAA Tournament berths. Eight of Tribbett’s fifteen career goals with the Dragons were game winners and he assisted two more game-winning goals. Tribbett also played with PDL clubs Michigan Bucks (2014) and Ocean City Nor’easters (2013). A native of Centennial, CO, Tribbett played club soccer for the Colorado Rush during his youth career. He joins Miguel Jaime and Jacob Lissek in linking the youth organization with the professional team.